Rim Abu Ghanem, 19, Israel. Rim Abu Ghanem was a 19 year old girl from the Abu Ghanem clan of Juarish, in Ramla a city of 64,000 near Tel-Aviv’s airport in Israel. The clan of around 2000 members is close-knit, very conservative and traditionalist, with a high rate of violence towards its women members. 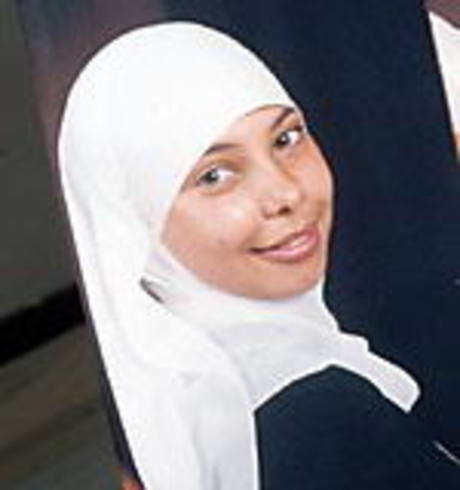 In 2006, Rim Abu Ghanem was the seventh Abu Ghanem woman to be murdered. Her only crime, in the eyes of her family was refusing to marry a man to whom she had been promised to. In the days preceding the murder, she had run away only to be found by police, who returned Rim to her family on condition that her three brothers signed an agreement that she would not be harmed. Rim’s murder was premeditated and planned by her very own brothers. Her elder brother, Suleiman Abu Ghanem, a pediatrician at the Assaf Harofeh Medical Center, gave his brothers Ahmed and Salameh sleeping tablets and instructed them on how to sedate their sister. When Rim fell asleep, her brothers packed her into a truck and drove her to a field. When Rim briefly woke up, she had attempted to plea for her life, while her brothers had tried to make her admit she had “disgraced the family’s honor”. Her brothers Salameh and Muhammed then suffocated her and wrapped her body and threw it down a nearby well. Subsequently three of Rim’s brothers confessed to and were convicted of killing her and are serving a 20-year jail sentence. The fourth brother, who did not take an active part in the act of murder, will serve a 12-year sentence. These sentences were unfortunately reduced from murder to manslaughters due to a police error in handling the informants of the case. Dahlia Abu Ghanem, a 16 year old girl believed to be the ninth woman in the Abu-Ghanem family to fall victim to “honor killings” was allegedly murdered by her brother Mahmoud Abu-Ghanem. Mahmoud was arrested after his sister Dalia had been missing for more than two weeks. Dahlia was no stranger to violence and loss of the women in her family. Her mother Na’ifa was murdered in 2000 in Juarish and her sister Shirihan was murdered in 2006 near her Rahat home, making them the seventh and eighth Abu-Ghanem women to be killed. 30-year-old Na’ifa Abu-Ghanem, had been shot to death. Relatives told police that Na’ifa had previously filed a police complaint against her husband and police suspected an “honor killing”. Her sister Shirihan was said to have bled to death after her throat was slit. Walid Abu-Ghanem, one of the girls’ brother murdered his then 15-year-old sister shortly after she was engaged to be married. Relatives attempted to hide evidence of the killing and first claimed Shirihan died after slipping in the shower, then said she had committed suicide. Shortly after her sister’s murder, Dahlia was forced by her father to marry a man she barely knew, she subsequently gave birth to a daughter while her husband was in jail. Dalia had sought refuge in women’s shelters, after enduring beatings and murder threats. But as do many community women chose to go back to her family home, where she went missing shortly after an argument with her family. Three Abu-Ghanem brothers have been tried and convicted for murdering two of their sisters. The other murderers are still at large. In March 2008, 40-year-old Sara Abu Ghanem sustained injuries to her head and neck when several unidentified men shot at her on her way to work. Sara had divorced her Arab husband and wished to make official her relationship with a local Jewish man, outraging her family. Another young girl, Sabrin rests under a bare concrete slab with her name roughly scratched on by hand. She is said to have been killed by a cousin whom she refused to marry. Others lie in crudely marked graves, covered with plain marble or a mound of earth marked with an oval of stones and just a few minutes’ drive from Israel’s lustrous international airport. Until Rim’s murder, police have not been able to make progress in their investigations because of lack of cooperation. In Hamda’s case, her sisters are in hiding, the main witness of her murder has gone missing and Arab women in the central Israeli town live in fear because of little help from the police and government. In these young women, ages 15, 16, 18, 19 ..once rested the future…in them the hopes and dreams and aspirations that every girl will have. What must it have been like for their young lives to be sought in so much fear, not knowing if the very family that is meant to protect them will one day perpetuate their own deaths. OMG- isn’t there any women’s advocate there. It’s Israel, surely there just be somewhere these ladies could’ve gone for help. How about some education or groups who will speak up. This story shocked me more than others. It’s modern day Israel, and women are being killed, maimed or harmed. Within a group of 2000.